Facts and history about the life and lifestyles of Native American Indians. The sacred pipes used by Native Americans are known by by various names including the Calumet, the Great Pipe, the Medicine Pipe and the Peace Pipe. 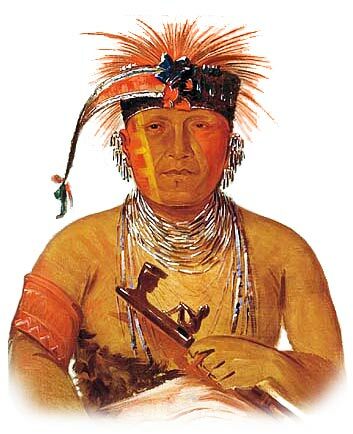 The ceremonial smoking pipe, called a Calumet, was often used to seal a peace treaty, hence the term 'Peace Pipe'. Sacred Pipes were used in sacred, central rituals and tobacco ceremonies of Native Americans. Pipes were the most potent symbols in these rites demonstrating harmony and brotherly love. However, the Calumet was also used to offer prayers in religious rituals and ceremonies and during war councils.